Local Trust is joining a group of leading funders who openly share data about the places and projects they support. From mid-September the website Grantnav will include data about all 150 Big Local areas, contributing to a dataset that allows anyone, from large charity to community activist, to understand the social sector. As a major distributor of Big Lottery Fund funds, it’s important that we’re as open and transparent as possible about how Big Local money has been dispersed. More open-data from funders about flows of money will help Big Local areas seeking additional funding and provide stronger evidence for gaps in local grant provision. That’s why we’ve partnered with 360Giving to help convert our data into a standard format which can be accessed by anyone. From mid-September, you’ll be able to see the Big Local programme on Grantnav but you can start searching right now for projects that have recently received funding. 1. Why is Local Trust publishing information about the Big Local programme as open-data? 3. What is open data? 4. How is Local Trust publishing data about the Big Local programme? 5. Do I have to do anything? 6. Will we receive more unsolicited requests for service providers looking for funding? 7. What if I change my Big Local area name? 8. Where is the data? 1. Why is Local Trust publishing information about the Big Local programme as OpenData? The more open data that is published, the better picture everyone will have on who is funding what and where. This means that when communities need to access money to run projects, they can understand who might have funded projects like theirs before, within their area or elsewhere. It also allows people to find projects similar to theirs, which can be contacted to share best practice. Now that 83 funders have published, Local Trust can start to see where there are funding overlaps, as well as ‘cold spots’ where awards from other funders are low, which could help us collaborate with other funders to support Big Locals. We can see which causes are well-supported and which are not. This is particularly important when Big Local partnerships have a priority which isn’t receiving attention amongst other funders. 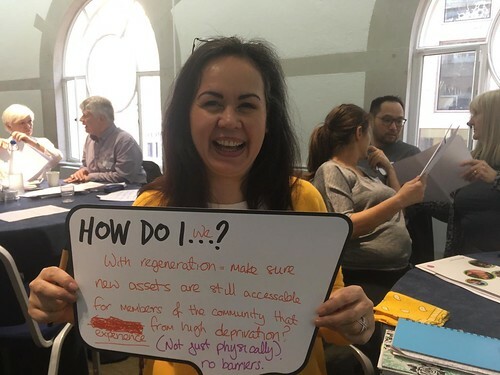 Finally, the Big Local programme involves a significant amount of lottery funding being distributed to communities to make their areas a better place to live. It’s important that we’re as open and transparent as possible about how this money has been distributed. 360Giving is an organisation that supports funders to publish their data in an accessible and standardised way. It was founded by a group of funders who wanted to be strategic in their grant making and were frustrated by the lack of consistent information available. They created the 360Giving Standard as a uniform way to describe grant making data. It offers a standard format to capture, for example, the amount of funding applied for by each grantee, the amount awarded, and the start and end dates of delivery. Organisations publishing grant information using the 360Giving Standard use the same headings and formatting so the data can be easily read, understood, collated and compared by everybody. Data published to the 360Giving Standard can be located and ‘read’ easily by different applications and machines. For example, you can use Grantnav to view grants made by funders, Beehive Giving to find funders that might be right for you, or understand trends in giving when researchers dig into the data. Open data is defined as ‘data and content that can be freely used, modified and shared by anyone for any purpose’. See more information about open-data. We’ve assembled data about the Big Local programme from our internal IT systems, Big Local Community and Exchequer, and have been working with 360Giving to translate it into the 360Giving Standard. We’ve tried to present the Big Local programme in it’s true ground-breaking form. For instance, where the standard asks the name of the ‘grant recipient’, we’ve made sure we’ve listed the Big Local and not the LTOs, even though they technically receive the money into their bank accounts. We’ve listed the amount awarded and the amount distributed from when each Big Local started, in three waves, 2010-07-01, 2012-02-01 and 2012-12-01, up to 2018-04-31. We then plan to update the data every 1-2 years. We’ll be publishing the data into Grantnav on the 7th September. Then we’ll post a blog on the week of the 17th September so that other funders know we’ve published. You don’t need to do anything to help us publish, we have all the data already. We’d expect that the data will be used by researchers or other funders, rather than service providers looking for funding. Furthermore, we haven’t released any more contact information about Big Local areas. The only contact information available for Big Local areas are the Big Local rep email addresses listed on the area pages on our website, and the contact information that you publish. Notify us as you would usually, and we’ll update the data we publish to 360Giving every 1-2 years. You can see the data we’ll be uploading here and the geolocated data here. If you can’t view the data on the link, you can email david.king@localtrust.knightstudiosdevelopment.com for more information.